The Vib_high contact instruction should be drawn as normally-closed rather than normally-open as shown in the engineer’s first draft of the PLC program. 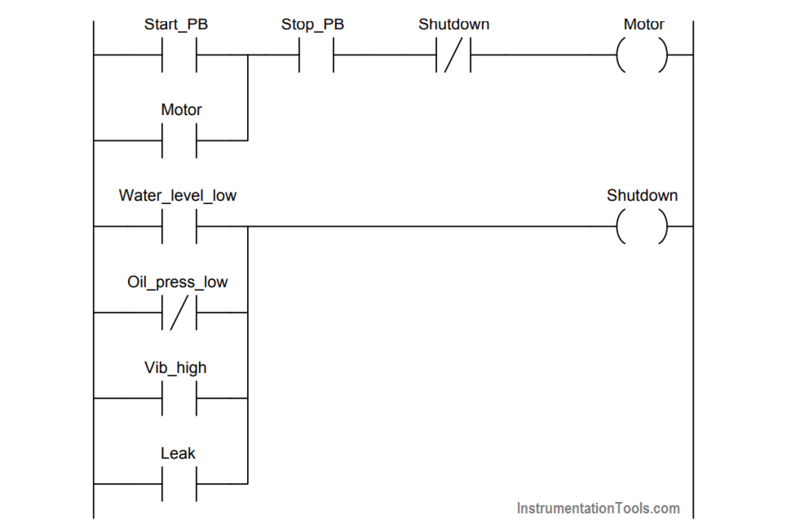 The program is designed to shut down the motor if ever the Shutdown bit goes to a 1 state. This means the motor will shut down if any of the permissive contact instructions become colored (i.e. “conductive” to virtual power). We have been told that the realworld vibration switch is NC, which means its contact opens when vibration is excessive. This means high vibration causes that bit to be 0, which necessitates an NC contact instruction so that it will color under that condition.